Discount available! 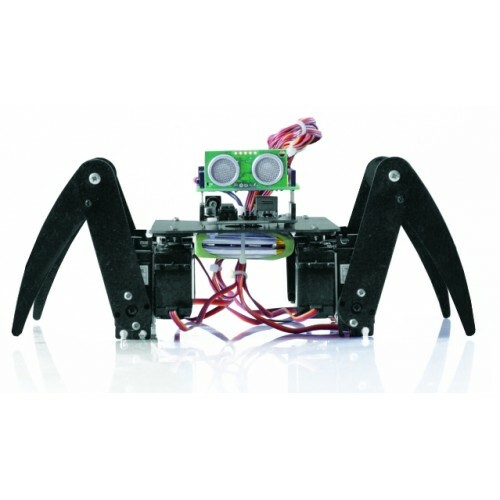 Recommend SPIDERIN ROBOT to your friends and get your Discount. Simple to make and with good stability (during movements, three legs remain always in contact with the ground while one moves), this original robot is able to walk like a spider, forwards, backwards and sideways, identifying and around obstructions thanks to an ultrasound sensor (not included). 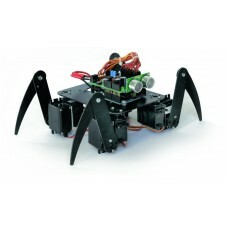 4 paws controlled from 8 servo (two per paw) and mechanical made ​​of PCB, no welds requires . The robot can be controlled (the essential functions) remotely via an IR remote control (a standard remote as those used for TVs or video recorders) (not included). 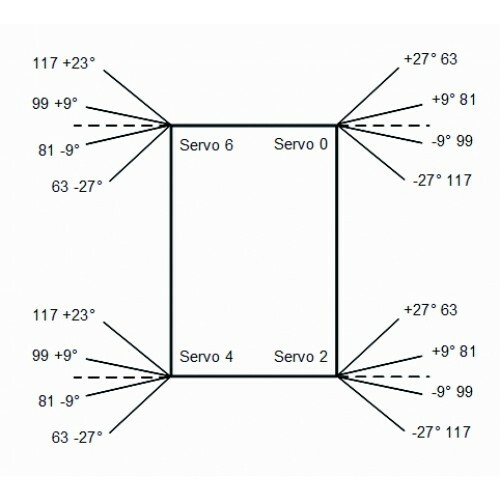 The kit includes all mechanical and 8 servo.